I am so excited to announce that Diva Dan’s Kitchen Show will be returning back to MIKEYSSMAIL and Diva Dan’s Private You Tube Channel in about 3 Weeks. 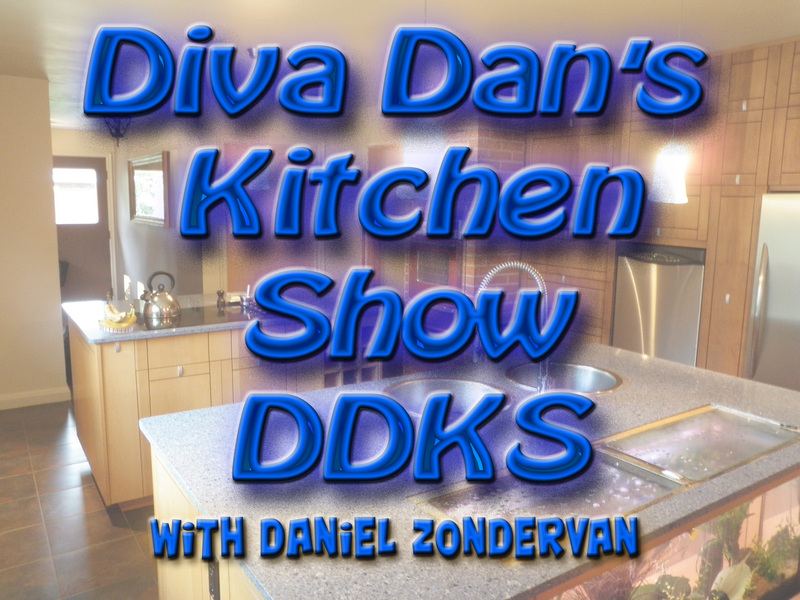 Diva Dan’s Kitchen Show will be appearing through other media such as filming and magazines. Daniel is working a temp job right now for a garden centre in our area. Pulling very long days. Due to it’s seasonal nature… it’s expected for him to be laid off or reduced in hours. So Daniel is preparing for the future. Daniel is undergoing preliminary test filming and trials with his own creation of Diva Dan’s Kitchen Show. Daniel was discovered through Mikeyssmail. His first few shows have demonstrated knowledge, now it’s just honing his presentation skills and personality. This is the second opportunity to come for Daniel as we were slated to appear on Reality Television due to Daniel’s Kitchen Show 2 months ago. We turned down that opportunity due to filming location and time restraints. Now it is up to me to learn how to edit better. Film better angles and a lot more speed. Daniel needs to work on his online personality in giving more of himself. Daniel tends to be quiet and more serious when filming by himself. We need to up his personality. This opportunity is “Freak’n Huge”. I am more excited for him. Daniel is on the gateway of being known world wide for his cooking and kitchen knowledge. Those who know Daniel, know that Daniel’s true passion is gardening and cooking. Daniel is able to combine his gardening and knowledge of growing his own fruits and vegetables… apply it to the kitchen… then transfer for world wide via Media. Daniel is calm and collective… I am jumping up and down with excitment for him. This entry was posted in General Life With Mikey & Diva Dan and tagged Daniel, Daniel Kitchen Show, Diva Dan, Diva Dan Kitchen Show, Reality Television, Show. Bookmark the permalink. That is very exciting! So very happy for you both. Hi ya Mikey, considering I just found you, I had to watch Diva Dan on youtube to understand what this was all about. Now I have found Diva Dan too. You are both amazing, I’m loving what you both do. I know that you are busy, busy, busy, but can you answer me a question? How long have you been taping your journey with yarn and food and uploading it to youtube? The answer will assist me with how much catching up I need to do. Cheers Cat from Australia. p.s. I think the chopping board needs a muffler, lol.